This book is the most comprehensive book you will find on AutoCAD 2019 – 2D Drafting. Covering all of the 2D concepts, it uses both metric and imperial units to illustrate the myriad drawing and editing tools for this popular application. Use the companion disc to set up drawing exercises and projects and see all of the book’s figures in color. 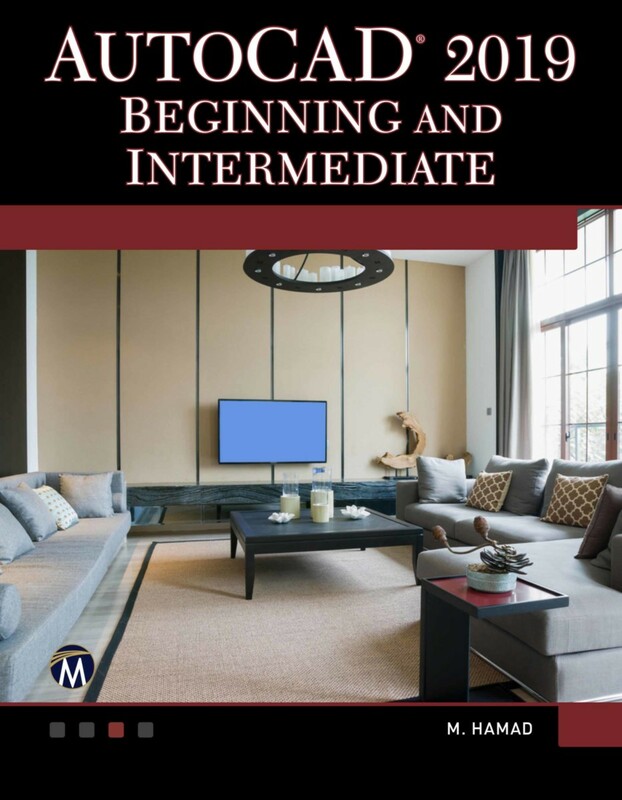 AutoCAD 2019 Beginning and Intermediate includes over 100 exercises or “mini-workshops,” that complete small projects from concept through actual plotting. Solving all of the workshops will simulate the creation of three projects (architectural and mechanical) from beginning to end, without overlooking any of the basic commands and functions in AutoCAD 2019. • Companion files featuring drawings, practice and finished plots, 4-color figures, etc. 2: Precise Drafting in AutoCAD 2019. 3: Modifying Commands Part 1. 4: Modifying Commands Part 2. 5: Layers and Inquiry Commands. 11: More on 2D Objects. 12: Advanced Practices - Part 1. 13: Advanced Practices - Part 2. 14: Using Block Tools and Block Editing. 15: Creating Text, Table Styles, and Formulas in Tables. 16: Dimension & Multileader Styles. 17: Plot Style, Annotative, and Exporting. 18: How to Create a Template File and Interface Customization. 24: CAD Standards and Advanced Layers. 25: Importing PDF Files, and Design Views. Munir Hamad is an Autodesk Approved Instructor and certified AutoDesk AutoCAD Master who has authored several AutoCAD titles and taught various levels of AutoCAD training.